Occupation Orlando Haddon was a butcher. He worked in Ted Boardman's butcher shop in Bowral for many years. [S2] Index of BDM records, NSW BDM, Place of Marriage Registration: Camden, Registration Year: 1873, Registration Number: 2132. [S2] Index of BDM records, NSW BDM, Place of Birth Registration: Picton, Registration Year: 1876, Registration Number: 18846. [S2] Index of BDM records, NSW BDM, Place of Death Registration: Granville, Registration Year: 1939, Registration Number: 9024. [S2] Index of BDM records, NSW BDM, Place of Birth Registration: Camden, Registration Year: 1900, Registration Number: 20856. [S2] Index of BDM records, NSW BDM, Place of Birth Registration: Camden, Registration Year: 1901, Registration Number: 30605. [S2] Index of BDM records, NSW BDM, Place of Birth Registration: Bowral, Registration Year: 1903, Registration Number: 10527. [S2] Index of BDM records, NSW BDM, Place of Birth Registration: Bowral, Registration Year: 1904, Registration Number: 20396. [S2] Index of BDM records, NSW BDM, Place of Birth Registration: Bowral, Registration Year: 1907, Registration Number: 33293. [S2] Index of BDM records, NSW BDM, Place of Birth Registration: Bowral, Registration Year: 1910, Registration Number: 1854. [S2] Index of BDM records, NSW BDM, Place of Birth Registration: Bowral, Registration Year: 1912, Registration Number: 40022. [S2] Index of BDM records, NSW BDM, Place of Birth Registration: Bowral, Registration Year: 1915, Registration Number: 21450. [S2] Index of BDM records, NSW BDM, Place of Birth Registration: Bowral, Registration Year: 1917, Registration Number: 30565. [S2] Index of BDM records, NSW BDM, Place of Registration: Tumut; Registration Year: 1874; Registration Number: 20159. [S2] Index of BDM records, NSW BDM, Place of Registration: Tumut; Registration Year: 1876; Registration Number: 21116. [S2] Index of BDM records, NSW BDM, Place of Registration: Tumut; Registration Year: 1895; Registration Number: 10435. [S62] Geof Shelley, Shelley/Bean tree, record # 139. [S2] Index of BDM records, NSW BDM, Place of Registration: Mosman; Registration Year: 1909; Registration Number: 5322. [S2] Index of BDM records, NSW BDM, Place of Registration: Mosman; Registration Year: 1910; Registration Number: 17141. [S2] Index of BDM records, NSW BDM, Place of Registration: Mosman; Registration Year: 1914; Registration Number: 29253. [S62] Geof Shelley, Shelley/Bean tree, record # 140. 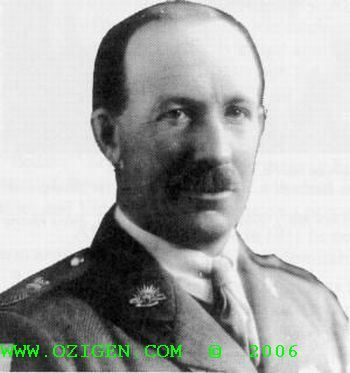 Commanded the 7th Australian Light Horse, V.D. [S2] Index of BDM records, NSW BDM, Place of Registration: Tumut; Registration Year: 1912; Registration Number: 3466. [S62] Geof Shelley, Shelley/Bean tree, record # 141. The NSW BDM Index shows Nellie rather than Nettie. Name Variation Eliza Amelia Harris was also known as Nell. Death 1937 Edna H Harris died in 1937 at AustraliaG. [S62] Geof Shelley, Shelley/Bean tree, record # 7. [S62] Geof Shelley, Shelley/Bean tree, Endnote 15. [S49] Lynn Smith, "Thomas Beane", record # 52. [S2] Index of BDM records, NSW BDM, Place of Registration: Tumut; Registration Year: 1868; Registration Number: 3477. [S2] Index of BDM records, NSW BDM, Place of Registration: Tumut; Registration Year: 1868; Registration Number: 17110. [S2] Index of BDM records, NSW BDM, Place of Registration: Tumut; Registration Year: 1872; Registration Number: 18350. [S2] Index of BDM records, NSW BDM, Place of Registration: Adelong; Registration Year: 1873; Registration Number: 11704. [S2] Index of BDM records, NSW BDM, Place of Registration: Adelong; Registration Year: 1874; Registration Number: 12093. [S62] Geof Shelley, Shelley/Bean tree, record # 28. Article News clipping - undated - "All Saints Tumut - Dedication of Memorial Window. Rev Sam Broadfoot held dedication of a window bearing the title "The Light of the World" and the inscription 'To the Glory of God and in memory of Rowland Mansfield Shelley, died 31st December, 1932 and Matilda Jane Shelley died 4 August, 1934. Given by their loving sons and daughter." The memorial was then dedicated by the Bishop, who spoke a few words concerning these late pioneers of the parish who had their youthful days of worship within the sanctuary and been spared to give of their service in later years for more than the allotted span of three-score and ten." [S62] Geof Shelley, Shelley/Bean tree, record # 29. [S2] Index of BDM records, NSW BDM, Place of Death Registration: Hornsby; Registration Year: 1933; Registration Number: 2057. [S148] Jean Caswell Benson, A Wide Spectrum, page 24. Married Name 1816 As of 1816, her married name was Waddy. 19 January 1826 Jane Cuthbert was a passenger aboard The Ship Lady Rowena which sailed from Cork, IrelandG, on Thursday, 19 January 1826 and arrived in Sydney, NSW on 17 May 1826. the Master was Boum Russell. On Wednesday Morning (17th) the Lady Rowena, Captain Russell, arrived from Ireland with 100 female prisoners, and 13 children; and 2 free women and 4 children; besides Mrs Waddy, widow of Sgt Waddy, of the 48th Rgt as a passenger. She left Cork on the 19th January, having sailed from the Thames in December, at which time several vessels were on the eve of departing for these colonies. [S69] Kay Lynette Gilmour, Manning Tree, Record # 96. He was the son of Thomas Sheather and Benedicta Unknown. [S161] Louise Staley, "Thomas Sheather," e-mail to Robert Mote, 11 August 2000, Record # 3. Sourced from East Sussex County Council, Sussex Parish Records pre 1837, Salehurst Parish Register Microfilm. [S161] Louise Staley, "Thomas Sheather," e-mail to Robert Mote, 11 August 2000, Record # 3. [S51] Various, Sheather List, Record #3. [S51] Various, Sheather List, Record #6.